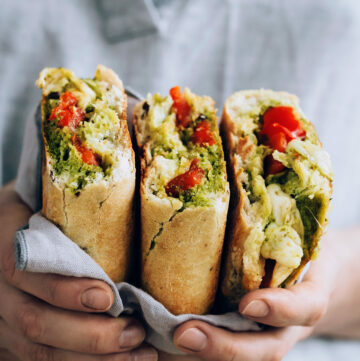 While I’m not grain-free, I’m totally on board with using grain-free recipes whenever necessary. Making Homemade Coconut Flour Tortillas is one of those times. I set out to find the best recipe I could and I didn’t come up empty handed as you’ll soon find out. 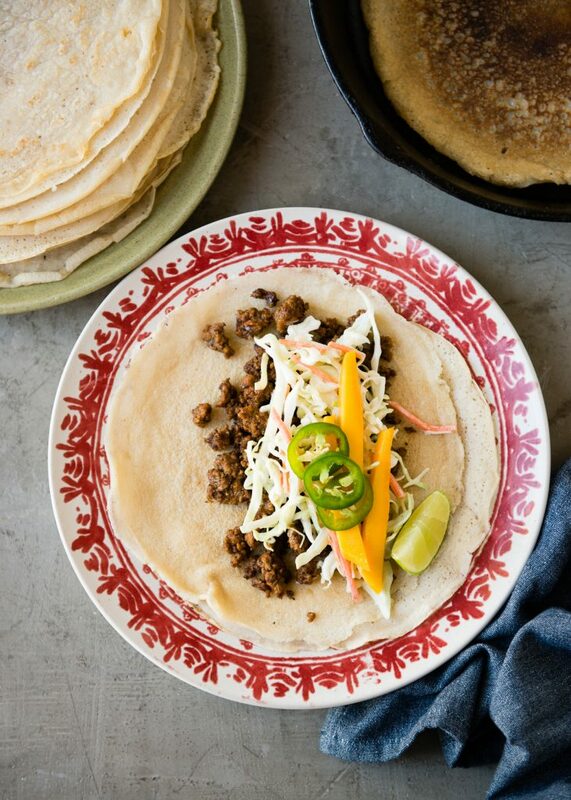 I used to make homemade flour tortillas all the time before I became gluten-free. I’m kind of a snob when it comes to tortillas–most gluten-free tortillas just don’t do it for me. I’m not necessarily talking about corn tortillas, they are kind of in their own category. But really, they can’t replace flour tortillas in say, a burrito. And quesadillas or wraps just aren’t the same either. Most gluten-free tortillas that were on the market a few years ago were awful. Dry, brittle, flavorless. Then some pretty awesome paleo (and grain-free) options found their way to shelves. But you know, I still prefer the taste and process of making my own from scratch. Plus it’s much easier on the old wallet. Coconut flour is a great low-carb option that also happens to be gluten-free and paleo. The problem is that it’s so high in fiber and absorbs so much liquid, it’s hard to use just coconut flour when making coconut flour tortillas. I’ve made some that tasted like coconut omelettes or pancakes instead of being soft, pliable and burrito-worthy, they were fluffy…and strange. (It’s seriously alllll about the burritos at this point.) Enter tapioca starch. 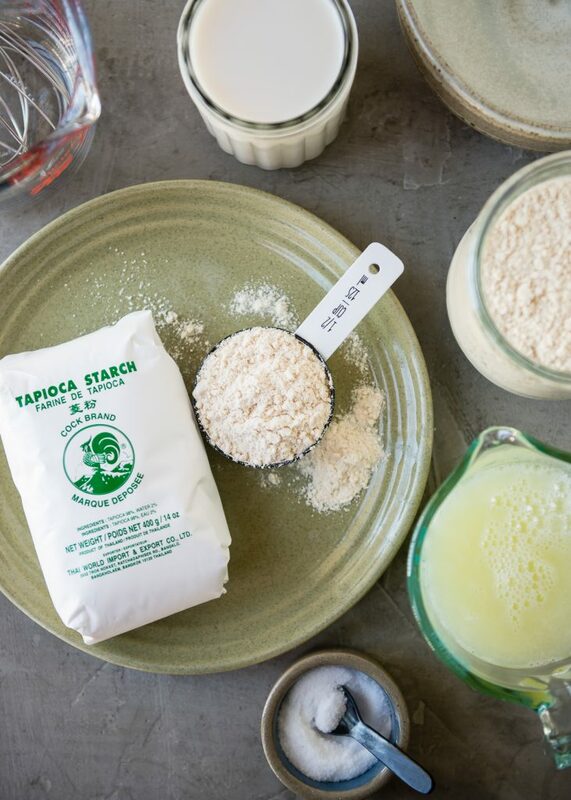 If you remember in my grain-free flour guide, tapioca starch is pretty fantastic. When used alone or with other flour/starches, it gels together and adds structure to baked goods. It’s also used a thickener. 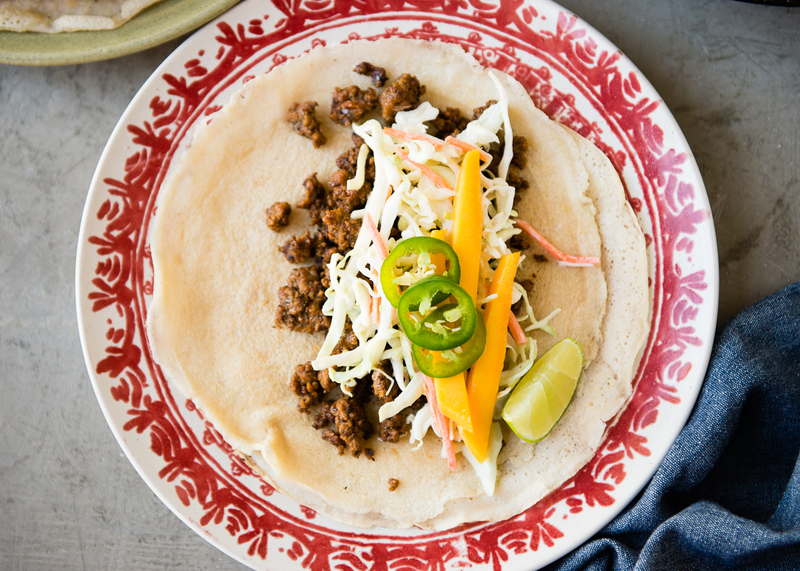 Here in this coconut flour tortilla recipe, it kind of does all three of those things. It also makes the tortillas super soft and delicious. 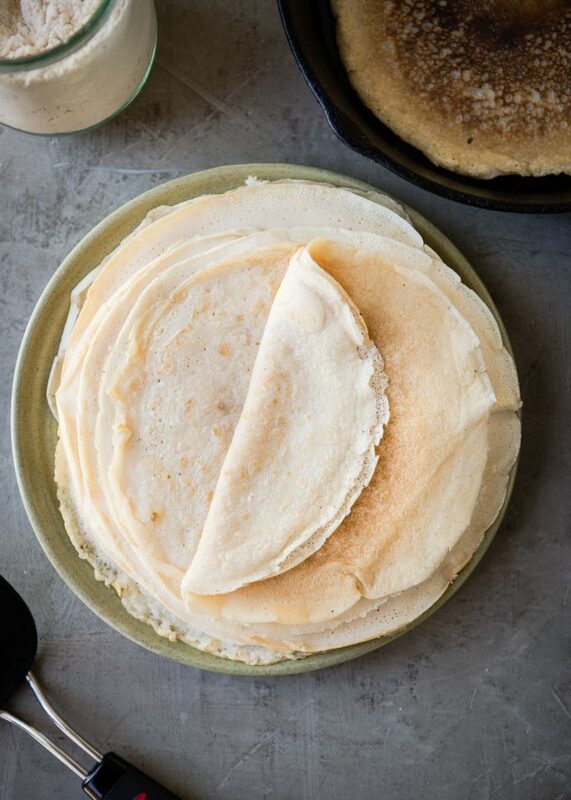 All you need to make your own coconut flour tortillas is coconut flour, tapioca starch, sea salt, egg whites, and almond milk. And from there you can even make your own flavors by adding in spices or pureed veggies or herbs like spinach and basil. I adore cast-iron pans and skillets. They are a dream to work with once they’ve been properly seasoned, and for these tortillas, they are my preferred pan. Other nonstick pans work too–I used several ceramic or green pans during recipe testing to see how the tortillas fared. But I went right back to cast-iron because they hold the heat well, cook evenly, and are nonstick. The great thing about this coconut flour tortilla batter is that it lets you know when it’s time to turn them over. The edges will become crispy and the whole thing will sort of lift away from the edges and bottom of the pan. It comes up in one piece. It may look or feel too crisp, but it will soften right back up after cooking. And really, they taste a lot better when they are on the more golden side. Because they are so easy to make and reheat so well, they are a dream to make ahead of time. Depending on the size and thickness, this recipes makes anywhere between 12-18 coconut flour tortillas. If you have a really large skillet (10-12″) then you can make about a dozen burrito-size tortillas. It all depends on how you want to use the tortillas. But like I said, the tapioca starch really gives these structure enough to use them in just about any way you would a traditional flour tortilla. 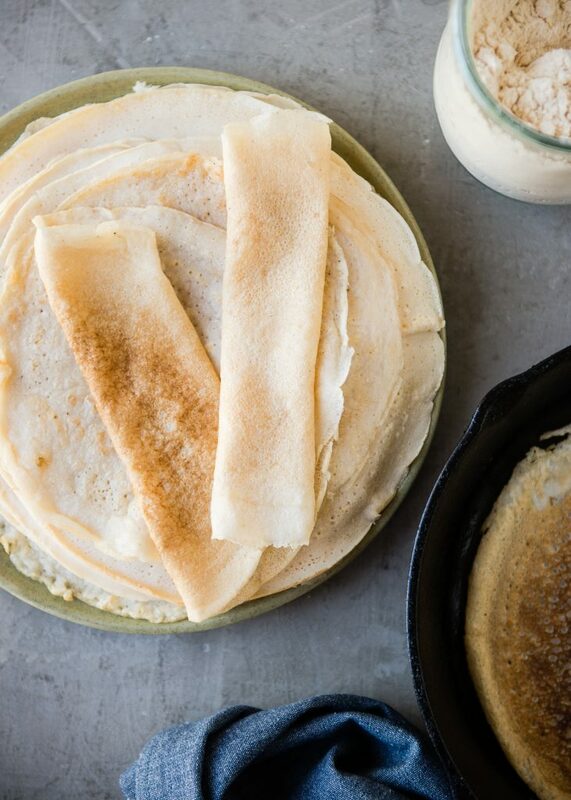 A soft, burrito-worthy grain-free tortilla recipe made with coconut flour. 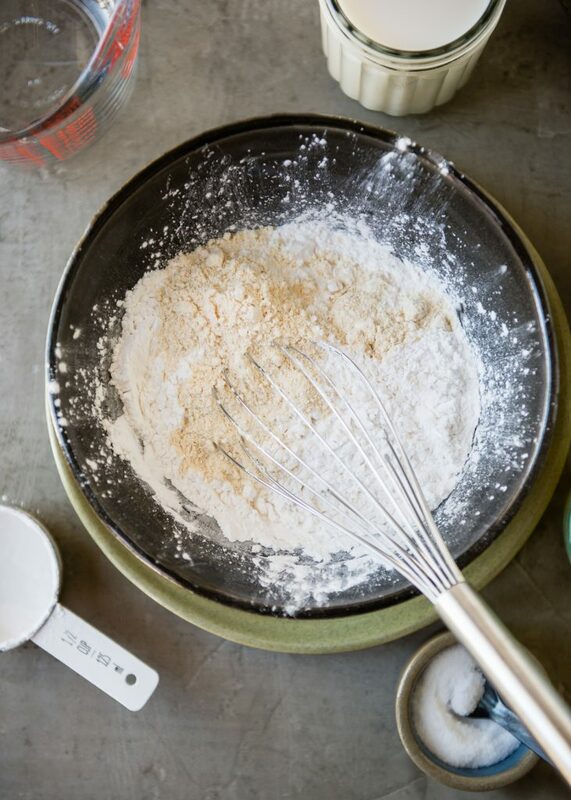 In a medium mixing bowl, whisk together tapioca starch, coconut flour, and sea salt. Set aside. In a separate bowl, whisk almond or cashew milk with the egg whites until well-combined. Make a well in the center of the dry ingredients and pour the egg white mixture into it. Whisk to combine. There should be no lumps and the batter will be very, very thin. 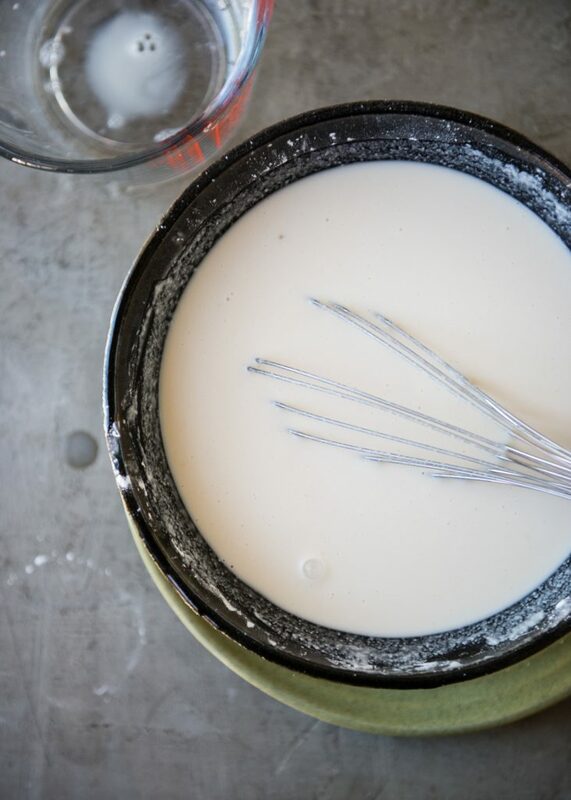 Transfer the batter, if desired, to a large glass measuring cup with a spout, for easier pouring. Heat a nonstick skillet over medium-high heat. 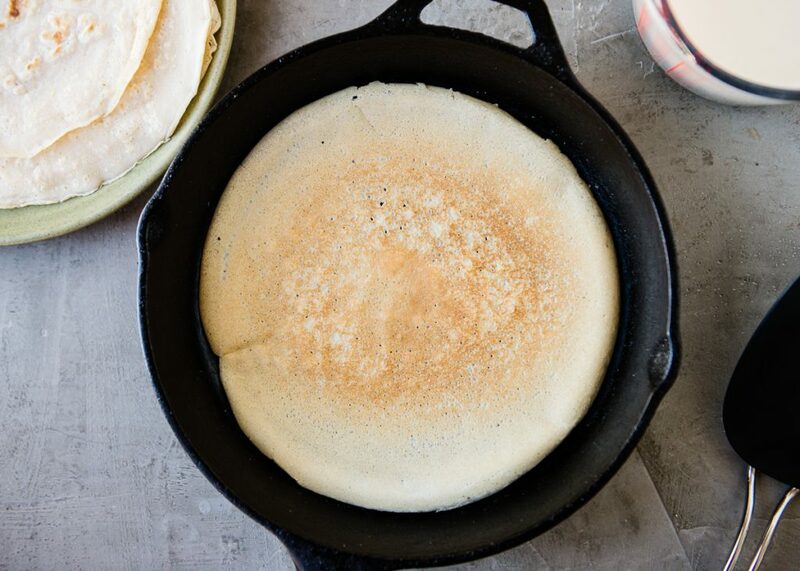 (A well-seasoned cast-iron skillet or crepe pan works best.) Lightly oil the skillet--not much is needed, just a few drops. Pour a few tablespoons of the batter into the center of the skillet, and working very quickly, lift the skillet off the heat and tilt so the batter spreads out in a thin layer. Depending on the size of the skillet, the batter may or may not reach the edge of the pan. Place back on heat and cook for 1-2 minutes, or until golden. It will be ready to turn when the tortilla has released itself from the pan. Gently lift the edges and slide a thin spatula underneath to flip. Cook the other side for another 1-2 minutes. Transfer to a plate and repeat with remaining batter. -I tested various versions of this recipe using coconut flour from Trader Joe's and Nutiva. They did differ a bit between the two brands; the Trader Joe's coconut flour produces a slightly thinner batter.-I tried both freshly separated egg whites and carton, pasteurized whites. 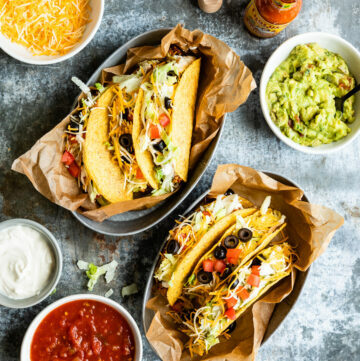 We preferred the flavor and texture of the fresh, but the carton worked just fine too.-The tortillas are more like crepes than traditional flour tortillas, but these are soft and pliable and can hold up to being filled and rolled into burritos or soft tacos, or used as crepes. 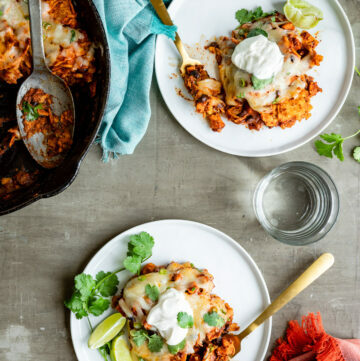 -Tortillas can be par-cooked and reheated on a warm nonstick skillet to refresh them. 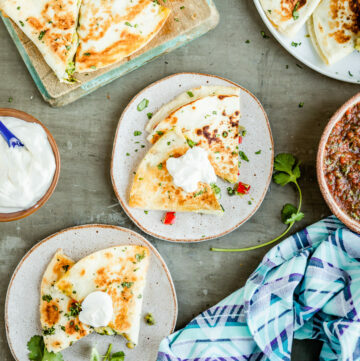 -This recipe creates fairly thin tortillas, but if extra batter is added to the pan, they can be made thicker, or use a little less almond milk. However, if they are too thick, then they become more like pancakes rather than tortillas. -Four whole eggs can be used in place of the egg whites, however the egg flavor will be stronger (with the whites there is minimal flavor), they will also be spongier, and the color will be more yellow. 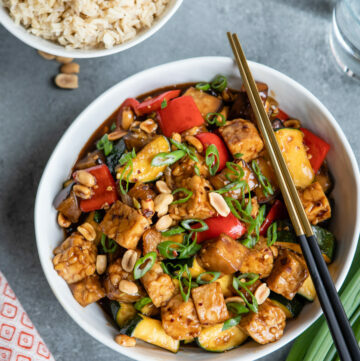 -There are no real substitutes for either the tapioca starch or coconut flour for THIS recipe. The coconut flour is very rich in fiber and when used alone, the tortillas have a hard time holding up. The tapioca starch provides structure and make them pliable enough to be used as a wrap. Cassava flour, which is from the same root, is different and will produce different results than using the starch. Arrowroot powder/starch might be able to be used in a pinch. -Look for tapioca starch in stores like Whole Foods (baking section with other alternative flours and starches), Asian markets, South American markets (it's uses a lot in Brazilian cooking), or online.-Coconut flour can typically be found at most grocery stores and specialty markets in the gluten-free or baking section.